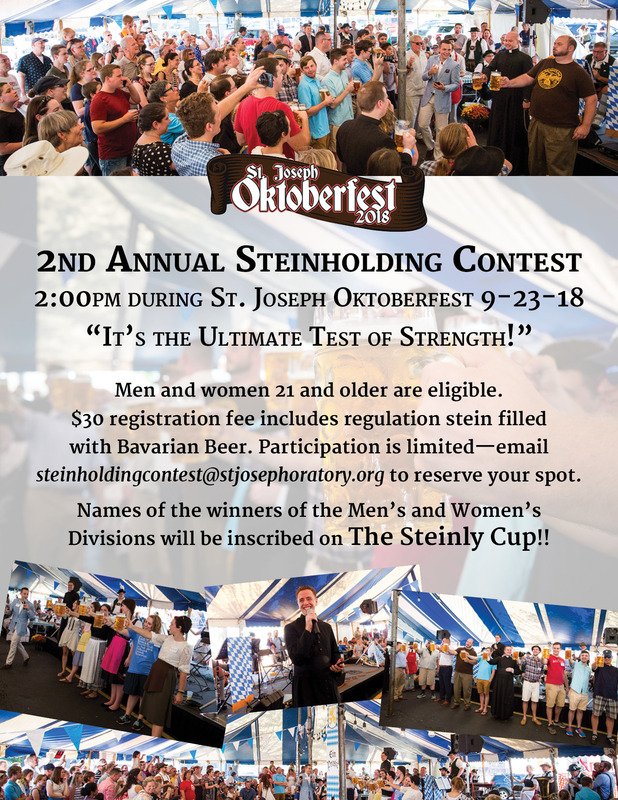 Save the Date: Sunday, September 22, 2019! 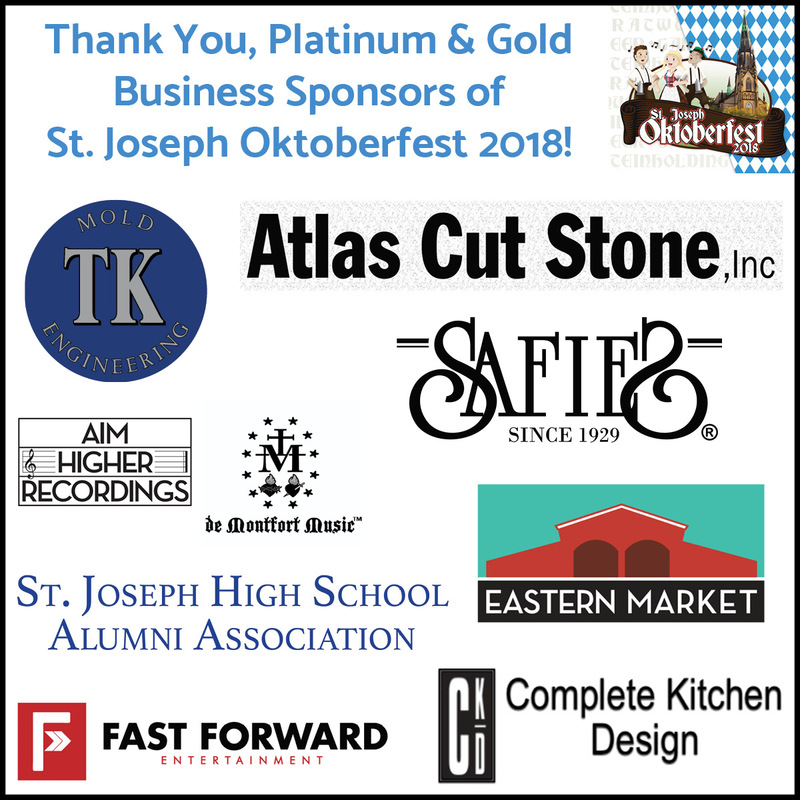 Follow St. Joseph Oktoberfest on Facebook, Instagram, and Twitter! Let us know you're coming on the Facebook Event Page. 12:30pm - 8:30pm festival hours. Fun for the whole family! 3-4:30pm Classical Music Concert featuring Motor City Flutes; Peter Paolin, cellist; Peter Fletcher, guitarist; Gordon Finlay, tenor. 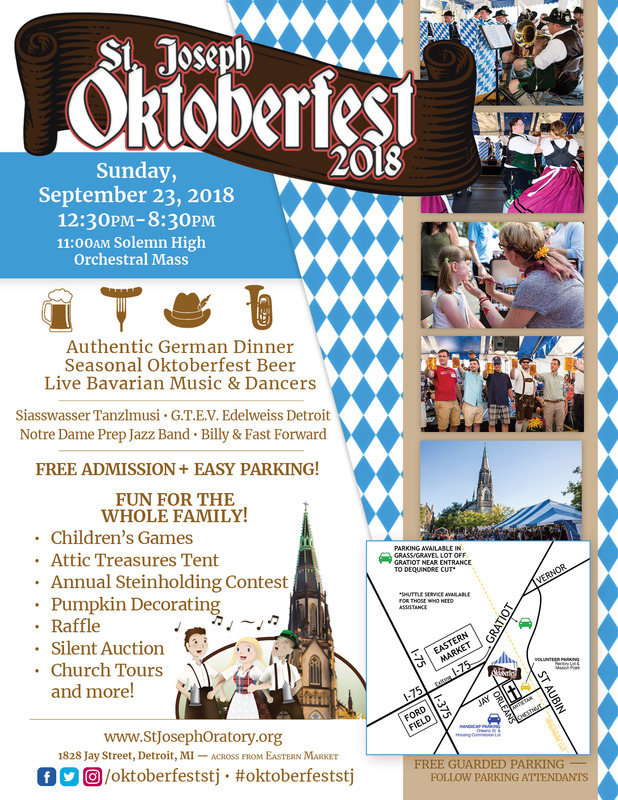 Please see the concert program here! 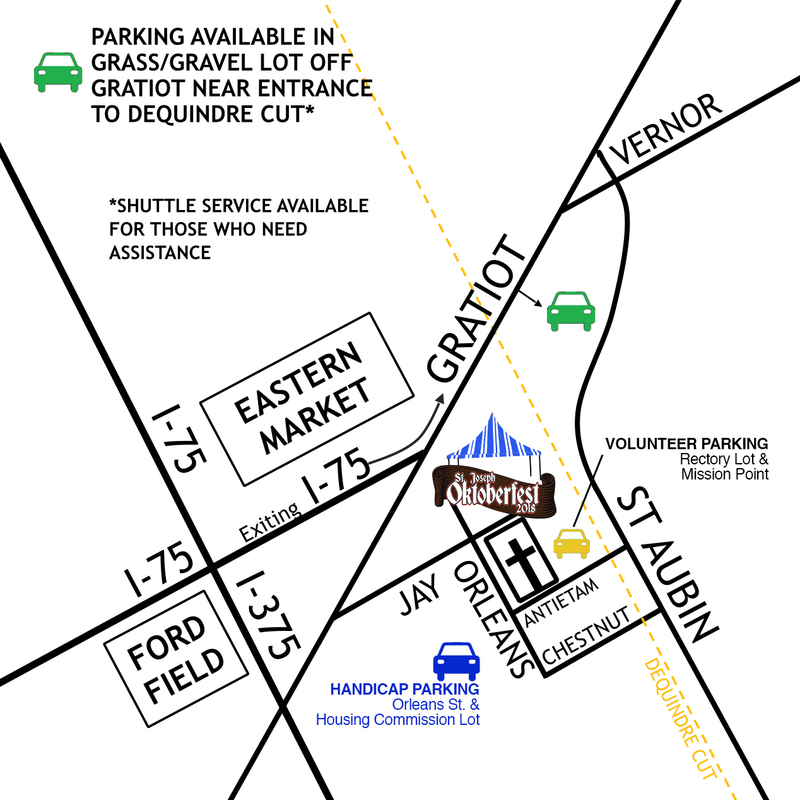 Free Festival Admission & Parking Attendants will guide you to free guarded parking. Ample bike parking.